The newest Dallas Cowboys quarterback, Dak Prescott is looking forward to learning under Tony Romo. 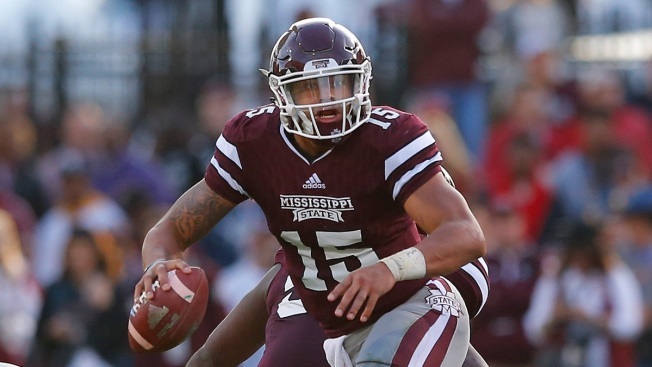 Prescott was drafted in the fourth round, with the 135th overall pick, at the end of a scouting season that saw him work with or in front of the Cowboys’ coaching staff at the Senior Bowl, the Scouting Combine in Indianapolis and at a private workout with Cowboys quarterbacks coach Wade Wilson in Starkville, MS. The Cowboys also hosted Prescott on a pre-draft visit to Valley Ranch. For Prescott and most other prospects in the draft, getting the call from any team would have been exciting. But the Mississippi State product was a Cowboys fan growing up, which certainly added to the experience.